I was sitting in the gazebo a couple of weeks ago staring at my rose of Sharon tree. Here it was approaching mid-July and still no blooms. There were plenty of buds but no blooms. I was sitting in the gazebo the other morning and my rose of Sharon tree was ablaze with soft lavender flowers with a deep purple center and vivid yellow stigma … all in the matter of days. Birds were resting in the branches, bees were buzzing and the colors attracted the most beautiful butterflies I’ve seen in quite a while. Squirrels were scurrying around near the base. Even Max and Tiggerr were just sitting on the porch just watching. Normally they would have had the birds in their sights or, at the very least, try to “play” with the squirrels. It was an idyllic scene. I thought to myself, the only thing missing was a hummingbird. The rose of Sharon always attracts them. As often happens while I’m sitting in the gazebo having my morning coffee with Karen, I sensed the proverbial whack in the back of the head with an imperative to look again. Sure enough, there on the north side of the tree was a hummingbird flitting from petal to petal collecting nectar for the day. So, there. I got it all. A nudge from Karen dearest and a full visual cornucopia of nature in balance and harmony. 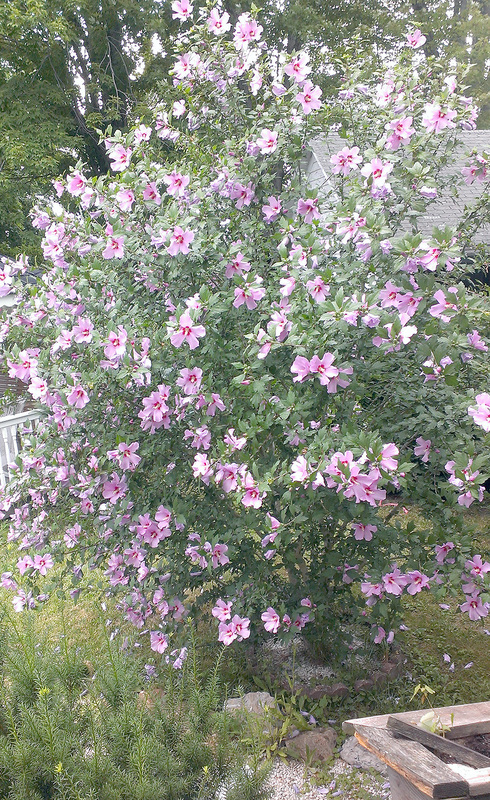 Our rose of Sharon tree is a testament to nature. 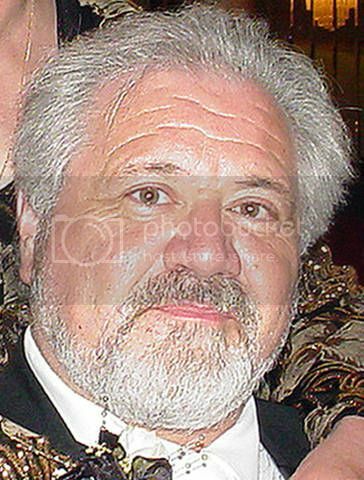 It’s “roots” came from the backyard of my boyhood home in Totowa, NJ. Karen conned me into digging up a root, then meticulously cultivated it for a couple of weeks until we could plant it in the backyard of our newly-purchased home in upstate New York back in late August 1998. It was, truly, a twig at the time and it took about three growing seasons to get any blooms. While I was inclined to call it a green thumb failure, she persisted and insisted it would grow. Once again, she was right and I was … well, wrong. The bush was against a fence in New Jersey and I don’t remember it getting larger than maybe six feet. But here in upstate New York, it morphed into a tree, probably standing about 10-12 feet high. And it has the most beautiful blooms. THOUGHT TO REMEMBER: Not saying, but never needing to say is what really counts. This entry was posted in life & love and tagged DPchallenge, faith, life, love, Memories, nature, relationships, rose of sharon, Seasons. Bookmark the permalink.